SHELBY — After winning their first postseason game in recent memory, the Crestline Lady Bulldogs hoops squad was back at it again on Saturday, February 24 in the Division IV, Willard District tourney. Crestline, the No. 9 seed in the bracket, won the chance to play for a sectional title Saturday but would be fitted against the No. 1 seed in the bracket, the Buckeye Central Buckettes. The Buckettes took next to no time putting the contest out of reach, jumping out to a 25-7 advantage after the opening quarter. By halftime, the Lady ‘Dogs found themselves trailing big, heading into the locker room down 45-12. In the second half, Buckeye Central continued to dominate the game and by the end, Crestline’s season was over as the Buckettes claimed the sectional title with a 61-19 win. The Lady Bulldogs finish their season 6-18 overall and finished their league competition at 2-8. Buckeye Central is now 22-1 overall and move on to play the No. 5 seed Monroeville Lady Eagles on Thursday, March 1 at 8 p.m. at Willard High School in district semifinals play. Bri Briggs led the way for Crestline, scoring 10 of their 19 points on the evening to go along with an assist, 2 steals and a blocked shot. Alandra Tesso contributed six points, Hannah Delong had two points and Lauryn Tadda rounded out the offense for the ‘Dogs with a single point. 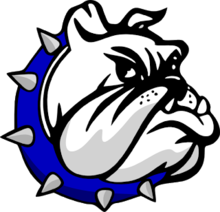 Other stats for Crestline on Saturday were: Team- 6/12 from the interior, 2/6 from the perimeter, 1/4 at the free-throw line, 13 total rebounds (2O, 11D), 7 assists, 8 steals, 4 blocks and 32 turnovers; Tesso- 2 rebounds; Delong- 1 rebound, 2 steals, 1 block; Tadda- 2 rebounds, 4 assists; Lydia Tadda- 3 rebounds, 2 assists, 1 block, 1 steal; Destiny Hoskinson- 1 rebound, 1 steal; Kirah Hoskinson- 2 rebounds; Kennedy Moore- 1 block, 1 steal and Daija Sewell- 2 rebounds, 1 steal. Buckeye Central shot 26/52 from inside, 2/11 from outside, 3/8 at the stripe, grabbed 30 total rebounds (22O, 8D), dished 13 assists, recorded 22 steals, had one blocked shot and committed just 11 turnovers in the victory.